← Why Are Some Suggesting That Francis’ Election Was Invalid? How Often Does the Pope Change Canon Law? A: Alyssa actually asked this question some time ago, but it’s particularly relevant now that Pope Francis has just made some changes to the legal procedure required in marriage-nullity cases. His motu proprio document Mitis Iudex Dominus Jesus (the official text of which is still not available in English!) makes substantial changes to Book VII of the code on procedures. These modifications will take effect on December 8, 2015. But this isn’t the first time the current Code of Canon Law has been changed since its promulgation in 1983. It’s true that the Pope doesn’t change the law every week; still, there have been a number of instances over the past 22 years where various canons were reworded/expanded in a significant way. Let’s take a look. Several canons were altered by Pope John Paul II in 1998, with his motu proprio Ad Tuendam Fidem. 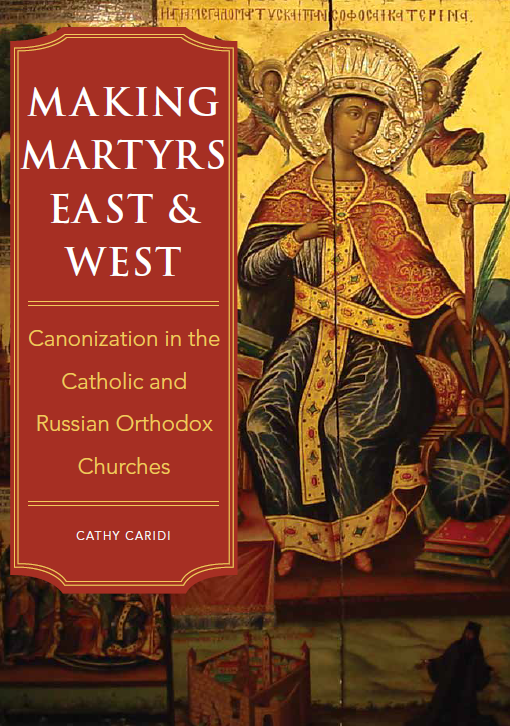 Directed at theology professors and other scholars who teach Catholic doctrine , this document did indeed get a lot of attention at the time of its promulgation, although many Catholics may not have realized that it actually changed the wording of two canons of the code. Ad Tuendam Fidem was already discussed in a specific context in “Have Pro-Abortion Politicians Excommunicated Themselves?” but in short, JP II wished to make even clearer the nature of the belief which Catholics are obliged to have in matters of faith. Previous to the Pope’s action, there had been far too many instances where Catholics purporting to teach official church doctrine thought they had the academic freedom to question it—and the ambiguous wording of the original canons on the subject didn’t help. In order to clarify the situation, John Paul II added an entirely new second paragraph to canon 750, and then included a reference to the new paragraph 2 in canon 1371. Those theologians and other scholars who deny critical aspects of our faith held to have been divinely revealed (like the Trinity, or the virginity of Mary), or those teachings pertaining to faith and morals which flow logically from revealed truths (like the sanctity of human life) can now clearly see that holding/teaching their heterodox positions may incur a canonical penalty. Pick up a pre-1998 copy of the Code of Canon Law and you’ll see that the canons were worded differently than they are today. Pope Benedict XVI changed the code as well. 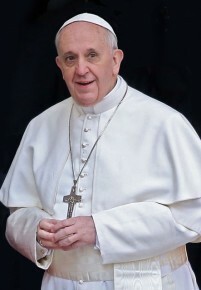 His 2009 Apostolic letter Omnium in mentem addressed a couple of separate issues, and by eliminating some problematic wording and adding new explanations, the Pope changed a total of five different canons. The first issue concerned the theological nature of the diaconate. Originally, canon 1008 made a sweeping theological statement about all men who have received the sacrament of orders, asserting that “they fulfill, in the person of Christ the Head, the offices of teaching, sanctifying and governing, and so nourish the people of God.” Problems with this formulation arose when applying it to deacons: can those who have not (yet) been ordained to the priesthood be rightly said to act “in the person of Christ the Head” just as priests and bishops do? Critics of this wording observed that while the canon is largely based on the text of Vatican II’s Lumen Gentium, that very same conciliar document differentiates the nature of the deacon’s ministry from that of priests and bishops in paragraph 29. Benedict decided to resolve this discrepancy in canon 1008 by restating the role of the clergy, noting instead that men who receive the sacrament of Holy Orders “may serve the people of God by a new and specific title, each according to his grade” (Omnium in mentem, art. 1). The substance of this theological concept was carried through into canon 1009 as well: an entirely new paragraph 1009.3 was added, stating unequivocally that while priests and bishops “receive the mission and capacity to act in the person of Christ the Head… deacons are empowered to serve the People of God in the ministries of the liturgy, the word, and charity” (art. 2). Note that in everyday practice, these changes don’t actually require Catholic clergy to do anything different—it’s just that now the canons better reflect the Church’s teaching on the different levels of the sacrament of Holy Orders. The other changes made by Omnium in mentem, however, did bring about a change in concrete praxis, at least in some countries of the world. They concerned the Catholic Church’s position on the need for all Catholics, whether they practice their faith or not, to marry according to the laws of the Church. All three of the marriage canons which were changed by Omnium in mentem contained the same basic phrase: “baptized in the Catholic Church or received into it and has not defected from it by a formal act.” They all indicated originally that a Catholic who left the Church “by a formal act” was no longer bound to observe canon law when getting married. The first, canon 1086.1, describes the impediment of disparity of cult (discussed in “Marriage Between a Catholic and a Non-Catholic,” and “If a Catholic Marries a Non-Catholic, How is it a Sacrament?”). It states that if a Catholic marries an unbaptized person, that marriage is invalid—which is why a dispensation must be obtained by the Catholic party in advance, to make the marriage valid. Originally, if a Catholic had left the Church by a formal act, this law did not apply. The second canon is 1117, which addresses the need for Catholics to observe the canonical form for marriage—a concept that was described in detail in “Do Lapsed Catholics Marry Validly Outside the Church?” (written in 2007, two years before Omnium in mentem had been promulgated). Before the changes made by Pope Benedict, this canon stated that a Catholic who had left the Church by a formal act was not bound by canonical form. The last canon containing this phrase was canon 1124, discussing mixed marriages. (The topic of mixed marriage—i.e., marriage between a Catholic and a non-Catholic Christian—was addressed in the marriage columns mentioned above.) Once again, the canon originally asserted that the need to obtain permission for such a marriage to take place licitly did not apply to Catholics who had left the Church by a formal act. But the problem with these three canons was fairly simple: what does it mean to “leave the Church by a formal act,” anyway? The uncertainty was compounded by the fact that in a number of European countries (Germany among them), taxes are collected from Catholic citizens specifically to support the Catholic Church. In order to avoid paying them, many Catholics have made civil declarations that they were no longer Catholic—whether deep-down they really meant that or not. So did such a declaration constitute a “formal act” whereby these people left the Church? or what? In Omnium in mentem, Pope Benedict finally cut through all the confusion by simply eliminating the phrase from these three canons. Now the Church’s position is clear-cut: if you’ve been baptized a Catholic or received into the Church, you are bound by these canons. Failure to follow them can render one’s marriage invalid (or in the case of mixed marriage, illicit). Period. Finally, of course, on August 15 of this year, Pope Francis made quite a large number of changes to canons 1671-1691, governing the procedure for marriage-nullity cases. In Mitis Iudex Dominus Jesus, he added new wording to some canons, combined others, and re-numbered the entire section, so that (for example) canon 1671 and 1672 have now been merged into a new canon 1671, canon 1677 is now canon 1678, etc. It’s going to take Tribunal officials all around the world quite a while to sort out the canonical implications of the new changes, and to figure out how, on a practical level, they will be handling marriage-nullity cases from now on—which is why the changes take effect four months from the date of their promulgation, rather than immediately. Canonists who specialize in marriage law are undoubtedly pouring over the new canons, and writing articles and even books on the topic right now; only time will tell if the revised procedures will streamline the process (as the Pope intends) without sacrificing legal precision. By now it is hoped that Alyssa has the answer to her question. Making changes to the Code of Canon Law is an uncommon event, but it certainly does happen! Sometimes a Pope may wish to resolve an ambiguity; other times he might want to change a law that has proven to be problematic. Regardless of his reasons for changing the code, the new laws are always made public, together with an explanation as to why the Pope feels they are necessary. This entry was posted in The Pope and tagged canon law, Catholic, Pope. Bookmark the permalink.